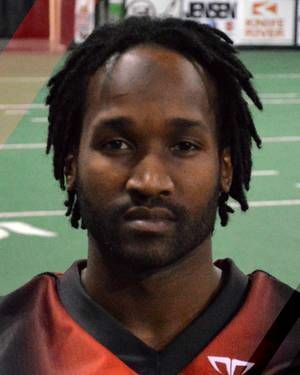 WICHITA, Kan. | The Sioux City Bandits raced out to an early lead and held on late in a 55-45 win over the previously first-place Wichita Force in a Champions Indoor Football game here Saturday. The win moves the Bandits (7-3) into first place in the CIF standings with two games remaining. The Bandits outscored Wichita 24-0 in the second quarter to take a 34-13 lead into halftime. The Force cut the lead to eight points with 9:14 left in the fourth quarter on a 55-yard field goal by Connor Frazell, but they never got any closer the rest of the game. The Bandits answered with a 5-yard touchdown run from Damon Mothershead to take a 48-33 lead with 7:24 left. Clarence Anderson scored on a 2-yard run for Wichita (7-4) on a time-consuming nine-play, 40-yard drive to cut the lead to 48-39, but Frazell missed the extra point with only 2:12 left. The Bandits recovered the onside kick and Willie Downs caught a 9-yard touchdown pass with 1:35 left to give Sioux City a 55-39 lead. Anderson did return the ensuing kickoff for a 49-yard touchdown, but Wichita could not convert the two-point conversion and failed to recover the ensuing onside kick. Charles Dowdell completed 13 of 21 passes for 152 yards and three touchdowns. Dowdell also ran for another 30 yards on eight carries. Downs caught five passes for 82 yards with a 9-yard touchdown reception. Downs also ran for 21 yards and two touchdowns on three carries. Frederick Bruno caught only two passes for nine yards, but both were touchdowns. Wichita quarterback Emmanuel Taylor completed 24 of 49 passes for 227 yards and five touchdowns. Brian Murph caught 11 catches for 97 yards with a 5-yard touchdown. Anderson caught six passes for 68 yards with two touchdowns, including a one-handed 27-yard touchdown grab in the first quarter. Bandits kicker Max Martin made 2 of 4 field goals and 7 of 7 extra points. Frazell made 2 of 5 field goals and 3 of 5 extra points. The Bandits rushed for 102 yards and four touchdowns against a Wichita defense that entered the game allowing an average of only 66.2 yards per contest. Wichita also entered the game with a 4-1 home record, while Sioux City was only 1-3 on the road. The Force won the first meeting in Wichita 42-35, while the Bandits won the second meeting in Sioux City 56-42. The Bandits host Amarillo next Saturday.